This abstract print in soft pastels is named after one of Miami's iconic beaches. 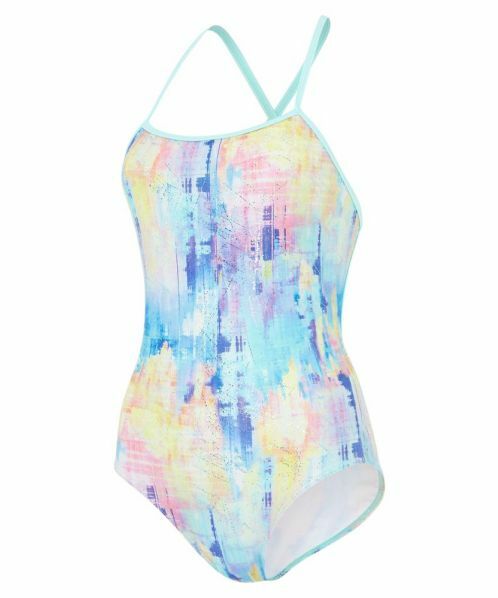 We have added our stunning Jay Back with lattice straps in soft aqua to give the finishing touches to this costume that manages to be sporty and feminine all at the same time. How can you resist! -Made using Lycra Xtra Life for chlorine resistance.